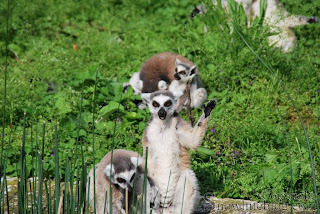 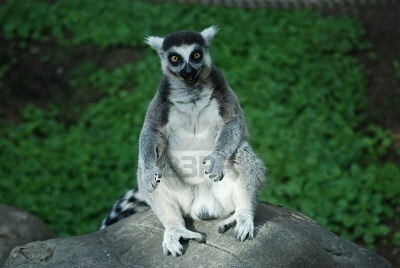 Lemur The lemurs is a primate native to the island of Madagascar, a large island off the south east coast of Africa. 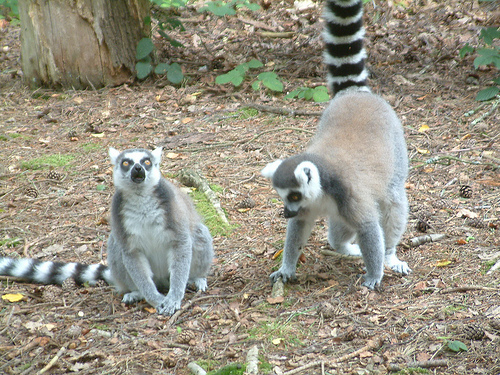 There are approximately 10 different species of lemur inhabiting the island where the lemurs spend most of their time in the trees. 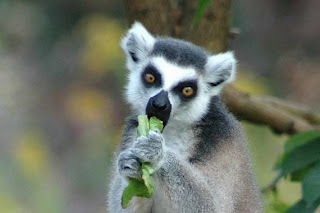 Lemurs are best known for their large, round reflective eyes and their wailing screams. Lemurs also have furry, pointed ears and long tails, with lemurs often being compared to both monkeys and squirrels. 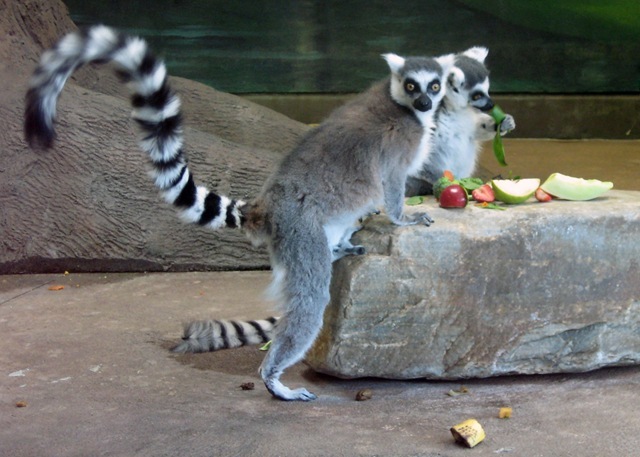 The lemur will eat most small things from berries, nuts and leaves to insects and spiders and therefore the lemur has an omnivorous diet. Lemurs get most of their food from the surrounding trees but lemurs will occasionally forage for grub on the forest floor if they have no luck in the branches. 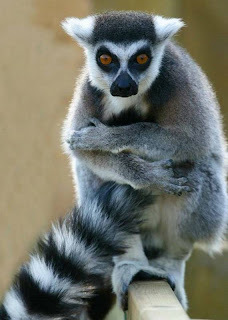 The black and white ruffed lemur, the russet mouse lemur, the woolly lemur, the aye aye and the ring tail lemur are among the most common species of lemur found in Madagascar, although the Aye Aye is considered to be a species of lemur very different from the rest, mainly due to the long middle fingers of the aye aye which it uses to get food out of holes. 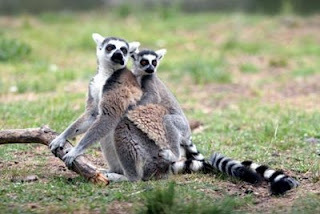 There are four main types of lemur containing nearly 100 different lemur subspecies between them. 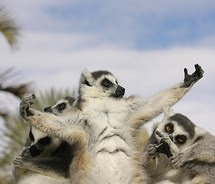 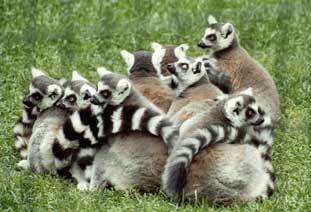 The biggest threat to the lemur is deforestation, with around 90% of the Madagascan jungle having been destroyed. This means that the lemur populations are declining rapidly as the lemur has fewer trees to make its home in.